Brian Purtle, CEO and managing agent of the Purtle Agency in Texarkana, is leading a grassroots charity effort to help promote breast cancer awareness and encourage residents to take advantage of breast cancer detection services. An estimated 250,000 new breast cancer cases are expected to be reported in the coming year, and four out of five will affect women over 50. 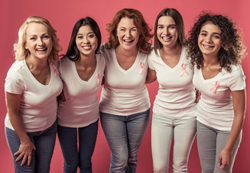 “We must remain vigilant and support early detection efforts; when breast cancer is identified in the early stages, it greatly improves the chances of successful treatments and cures,” explained Purtle. Additional efforts to involve the local community will include the Purtle Agency invitation program. Purtle has pledged to issue a $10 donation in the name of anyone who invites a friend or loved one into the agency to receive a complimentary quote on a new insurance policy. Readers seeking more details on how to help support the breast cancer awareness charity campaign are encouraged to visit this page: http://purtleinsurance.com/rewards/. As a Personal Insurance Representative in Texarkana, agency owner Brian Purtle knows many local families. His knowledge and understanding of the people in his community ensures that clients of the Purtle Agency are provided with an outstanding level of service. Brian and his team look forward to helping families protect the things that are most important – family, home, car and more. The Purtle Agency also offers clients a preparation strategy for achieving their financial goals. To contact an expert at the Purtle Agency, visit http://purtleinsurance.com/ or call 1-866-632-5881.